President Richard Donhauser presents a check for $1000 to Tricia Foster to help support the program that helps students in SAD35 End 68 Hours of Hunger. Tricia spoke to our club about all the good things they do for students who do not have enough to eat during the time period that they leave school on Friday until they return to school the following Monday. End 68 Hours of Hunger provides food supplies to sustain them over the weekend and during holidays and vacation periods. 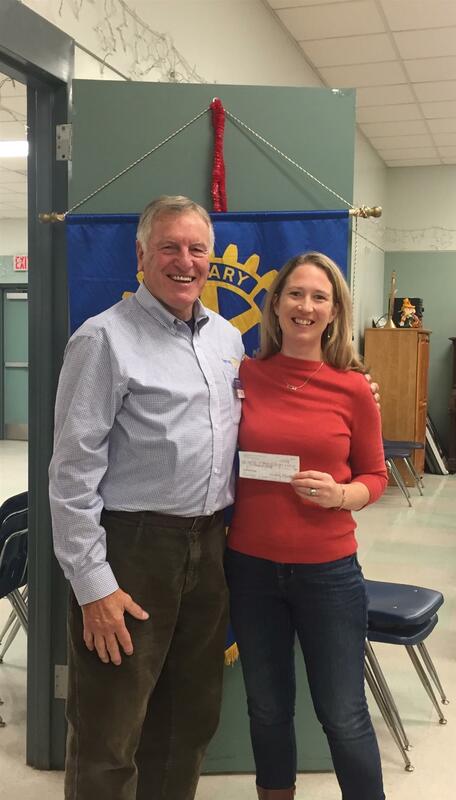 Club Rotarians raised funds to help feed their neighbors and this organization was one of the recipients.